My father’s favorite New Year’s Eve Dessert! and I truly love it….. especially when served warm! And……….it is a gluten-free dessert! and may your New Year be filled with blessings, love and joy! With this rice pudding-like dessert & custard cream, my life would be complete, and, with you as his daughter, I’m certain your father’s was. Raise a glass tomorrow and have a shot of the Slivovica for me! Happy New Year “O Sweet One”!!! 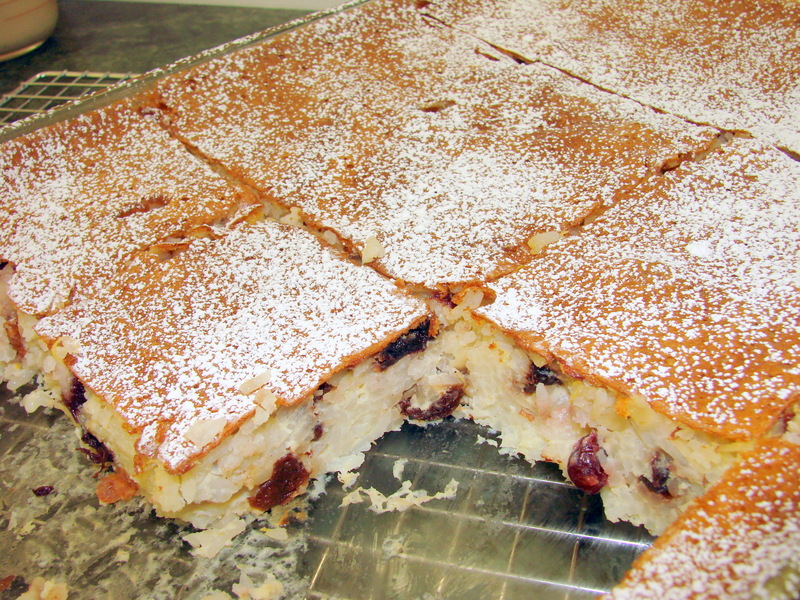 You must make it sometimes…..especially that wine custard…..I assure you there is nothing better…..and of course it can be used for other desserts as well. 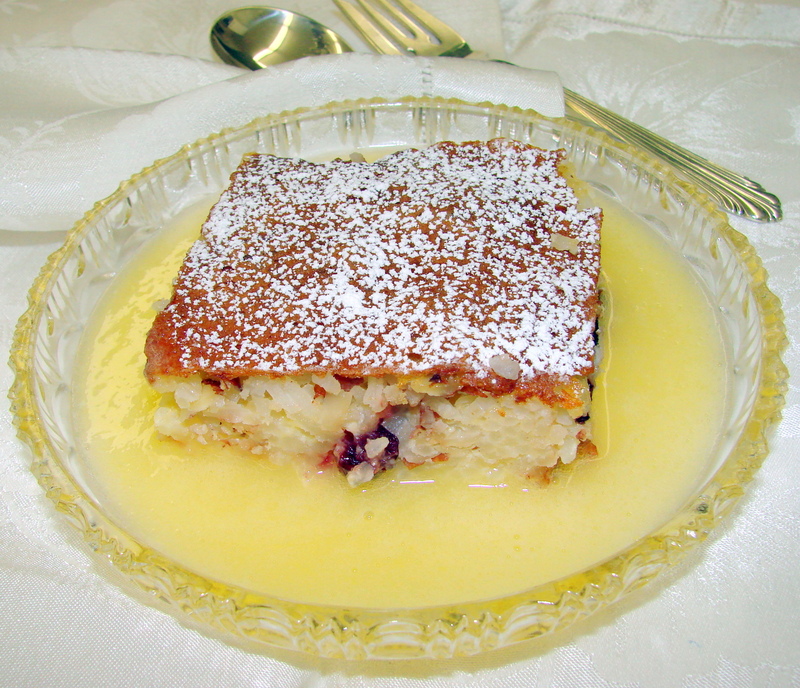 I made this dessert a few years ago for a New Years dinner…and one of our best friends rolled his eyes when he heard we will have a rice pudding for desert…..but, the first bite of this cake and together with the wine custard made him apologize for his ill behavior before dinner….it was rather funny! Hi Libby…………..so nice to hear from you…..and I am sure your daughter will love this cake…and will have NO side effects afterwards…. We are looking forward to seeing you next month….I am sure Dale has been in touch with Tom…..
Hugs to both of you…………. 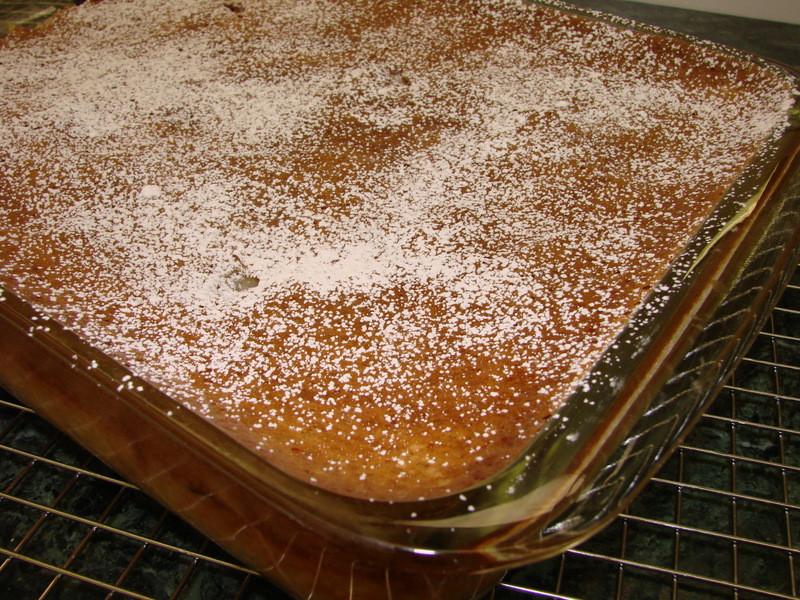 Hi Susan………thank you for your comment….and I know you all will enjoy this wonderful rice cake….and you will enjoy the wine custard even more…..
Have a most happy New Year 2012…. Sretna Nova Godina 2012 and enjoy a good slice of cake….I/m sure your tata is smiling from heaven…..
And it is so sweet of you to mention my father….yes, I am sure he is smiling….. This is interesting. 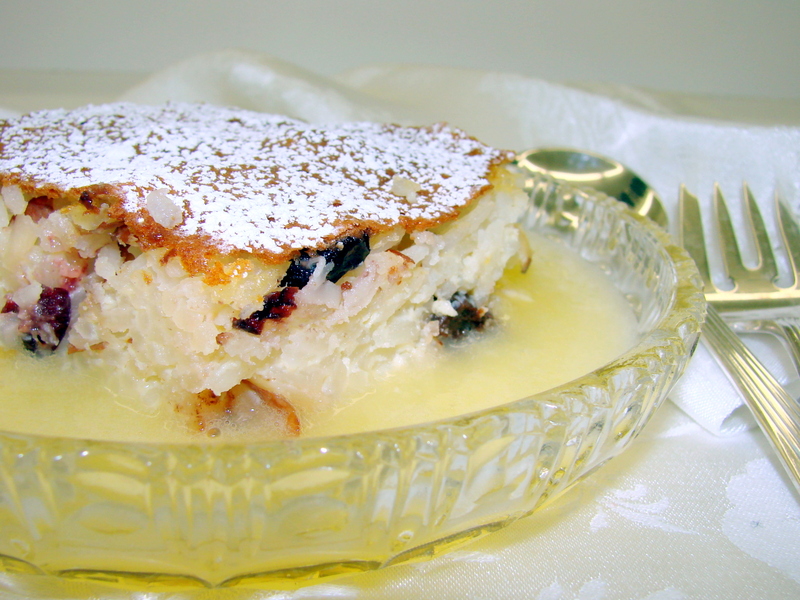 In my home, we often had the rice pudding as a main meal on a Friday. Growing up in a Roman Catholic household, Friday was the day when no meat was allowed to be eaten. Ironic, as fish in those days was very expensive and living far away from the sea, virtually unobtainable. These were the post war years. I can’t say I like it too much myself but a friend tells me that her husband loves this with cinnamon and at month’s end when the household budget is depleted, he gets this as a main meal too.